The new Aston Martin DBS Superleggera is the fastest and most powerful car the company has yet produced — and the 211mph super-GT has the Ferrari 812 Superfast firmly in its sights. 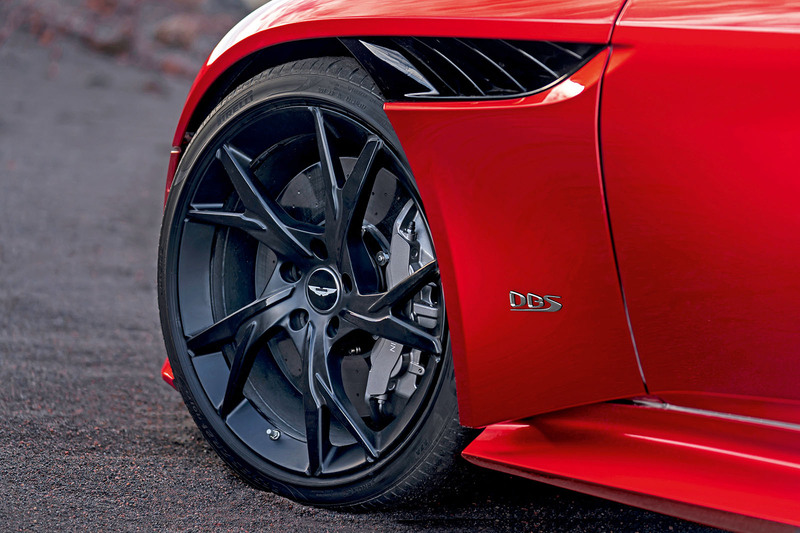 The British manufacturer has revived the DBS nameplate last seen in 2012 for the new model, which effectively replaces the Vanquish S as its performance range-topper. 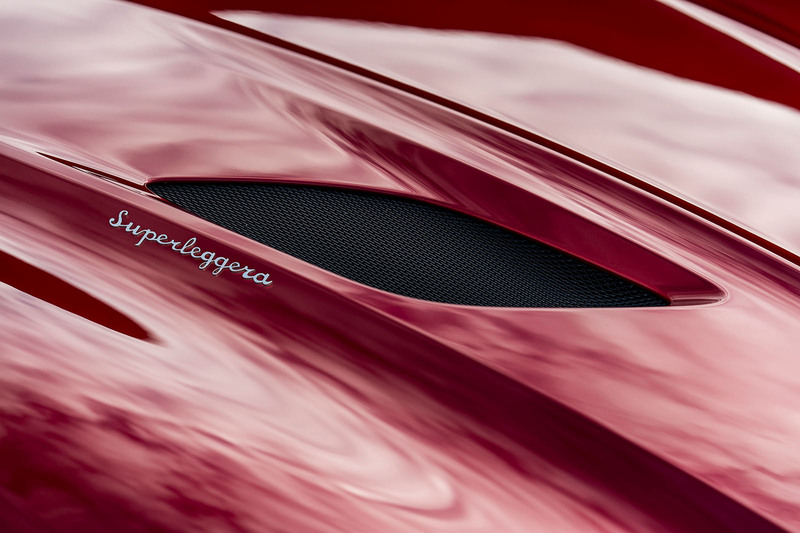 The Superleggera suffix means ‘super light’ in Italian and harks back to the original DBS from 1967. The Vanquish name will now be saved for the firm’s McLaren 720S-rivalling mid-engined supercar, due in 2021. The new DBS Superleggera is based on the underpinnings of the DB11 and shares the same Aston-made turbocharged 5.2-litre V12 engine. The unit has been reworked to make 715bhp, compared with 630bhp in the DB11 AMR. In the Superleggera, the engine generates 664lb ft, available at 1800-5000rpm. That’s 148lb ft more than the DB11 AMR. 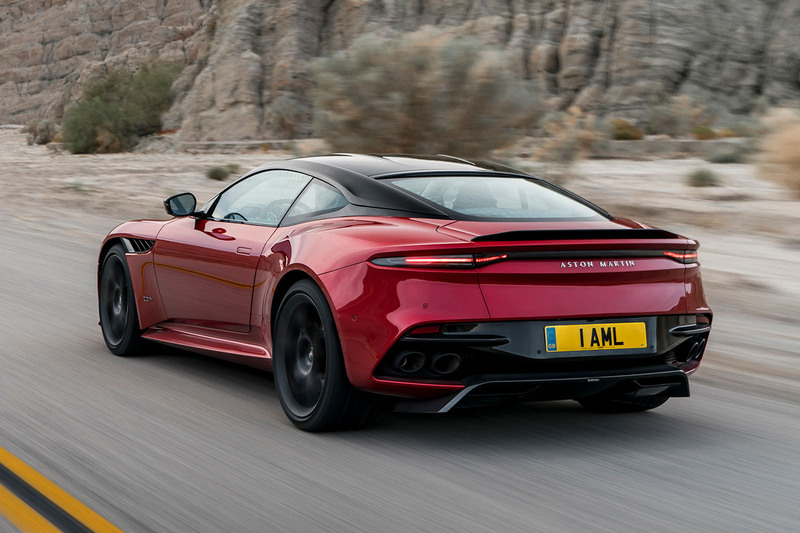 To handle the extra power and torque, the rear-wheel-drive DBS Superleggera gains a new transmission and gearbox, with a drive ratio of 2:9:1 (compared with 2:7:1 on the DB11). This means a claimed 0-62mph time of 3.4sec and 0-100mph in 6.4sec. The Superleggera sports a bolder front grille, along with new headlights and tail-lights, to further differentiate it from the DB11, as part of Aston’s plan to put more space between the cars in its range. It is the first car not to feature the brand’s winged logo on its rear boot lid, with the name Aston Martin spelt out there instead. The bodywork features a front splitter, extensive underbody aerodynamics, a rear diffuser and a new Aeroblade 2 rear wing, generating 60kg of downforce at the front of the car and 120kg at the rear. The 180kg total downforce is the most of any road-going Aston Martin, yet the DBS produces the same drag as the DB11, which makes just 70kg of downforce. The DBS Superleggera has a dry weight of 1693kg. It sits on bespoke Pirelli P Zero tyres, with 21in wheels. Despite those figures, Becker said the car has been designed to combine comfort and performance. “We wanted to develop something that’s incredibly fast but feels Vantage-like in its size and response,” he said. Aston Martin is targeting existing Vanquish customers as well as Ferrari buyers who want “something that is as quick but less intimidating”, according to Nurnberger. 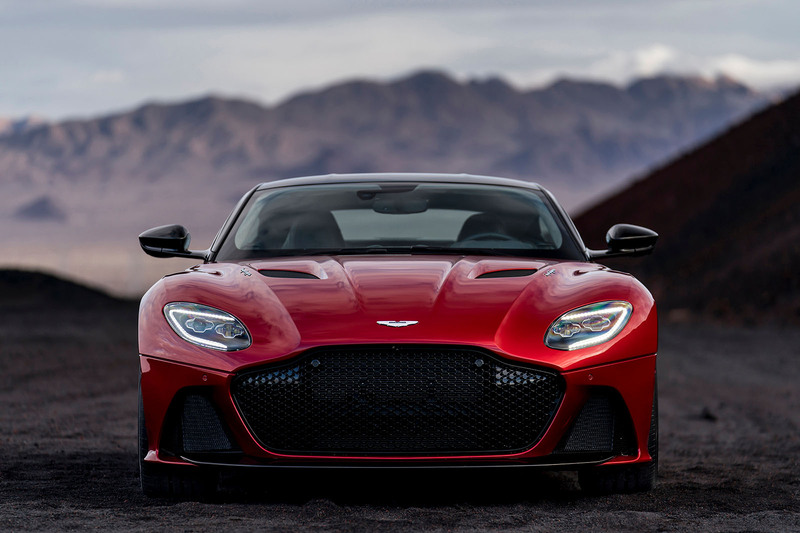 The DBS Superleggera follows the DB11 and Vantage as the third product in the firm’s ‘second century’ plan to launch seven models in seven years, and Nurnberger said that broadening the product range will enable Aston Martin to push for customers who aren’t part of its existing base. The DBS Superleggera is due to go on sale later this year in coupé form, with pricing starting from £225,000. A Volante version, which has already been spied testing, is set to arrive in early 2019. Not only does DBS have a brand-new gearbox, necessary to handle the monstrous 664lb ft peak torque, it also comes with a lowered final drive ratio for even more punchy in-gear performance. 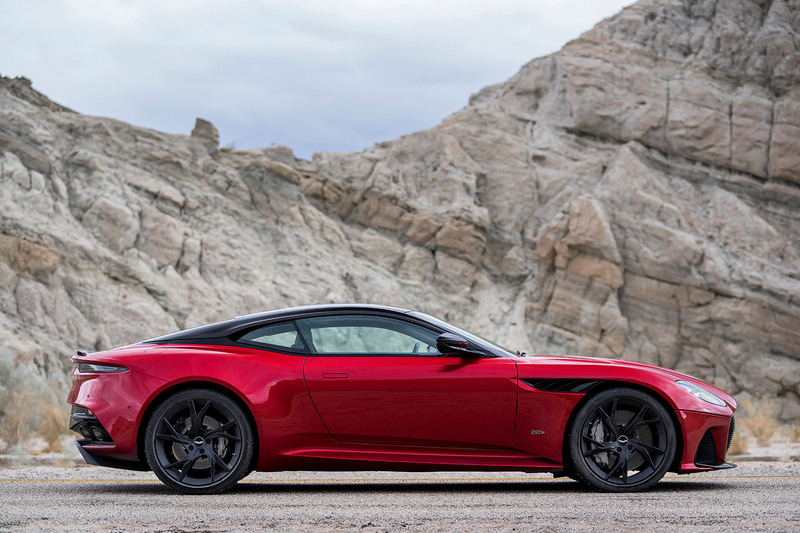 It carries the same 2.9:1 ratio as the Vantage, reduced from 2.7:1 of the DB11. 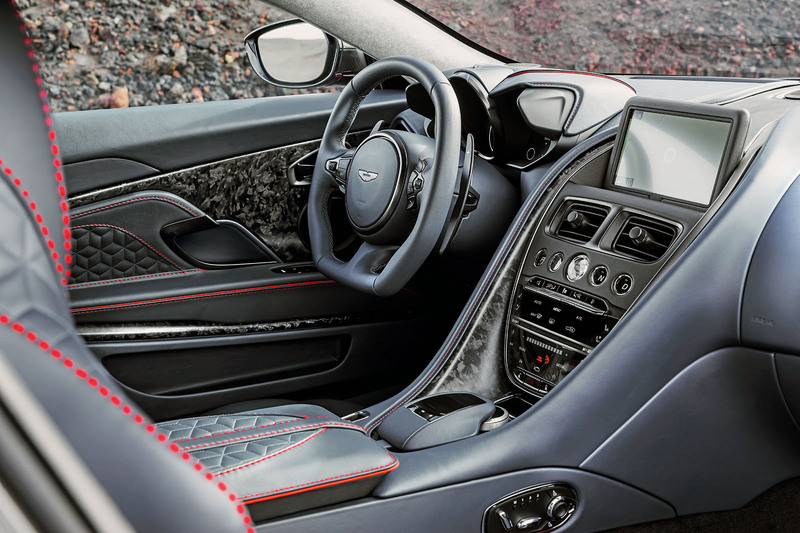 The DBS has a 0-62mph time of 3.4sec, a 0-100mph time of 6.4sec and a 0-124mph (200km/h) time of less than 9sec. All these figures are traction-limited. In-gear times, which don’t depend on longitudinal grip, suggest performance close to the Ferrari 812 Superfast. The car comes on bespoke Pirelli P Zeroes that look the same as those fitted to the Vantage but are in fact of completely different compounds and constructions, and are filled with PNCS noise- cancelling material. Wheel rims are 21in in diameter and come with a choice of forged alloys: one standard, one lightweight. The Aeroblade II rear wing, venturi under the car, the front splitter and the double diffuser at the back all combine to create 60kg of downforce at the front and 120kg at the rear. By comparison, the DB11 has 50kg of front lift and 20kg of rear downforce. Nice, but it should be in green, and the steering wheel is on the wrong side. The fault of someone formerly employed at JLR, perhaps? No other car manufacturer, anywhere in the world (apart from 'British' ones) put their concept cars out with the steering wheel on the 'wrong' side. Even Bentley go to lengths to ensure theirs show that they're 'British'. Come on, Aston. No other car manufacturer, anywhere in the world (apart from 'British' ones) put their concept cars out with the steering wheel on the 'wrong' side. The steering wheel is on the correct side, it's not a UK-only car. You missed my point. Read my Bentley comment for an explanation, as I can't be bothered to explain it to you. I didn't. Your point is that they should show they are British but that doesn't sell very well outside Britain. Immagine international potential buyers asking themselves why the steering wheel is on the wrong side. look at the images in a mirror of it bothers you so much. It’s not something I ever notice in pictures, because the motoring press do first drives and tests abroad so frequently there doesn’t appear to be a ‘correct’ side. I quite like the look of this, but the chrome lettering all over it is tragically bad. I’d stick with a new Vantage given the choice though. Agree.I find the size overpowering and maybe that is something which impedes the frontal design.Having said that,I did have the opportunity to drive a V8 Vantage for 100miles over widing roads and the car deminished in size once you drove it,eventhough some B roads may be a problem given it's width. Yes I think Aston is getting there shape wise, the right amount of aggression, correct amount of Aston Martin flare about it and if it goes as well as it looks it’s a Home run for Aston Martin! And what does it weigh in at?